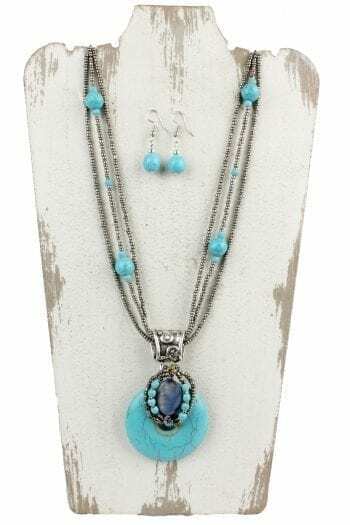 Paired with the matching earrings, you are sure to turn heads. 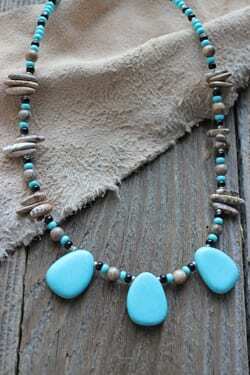 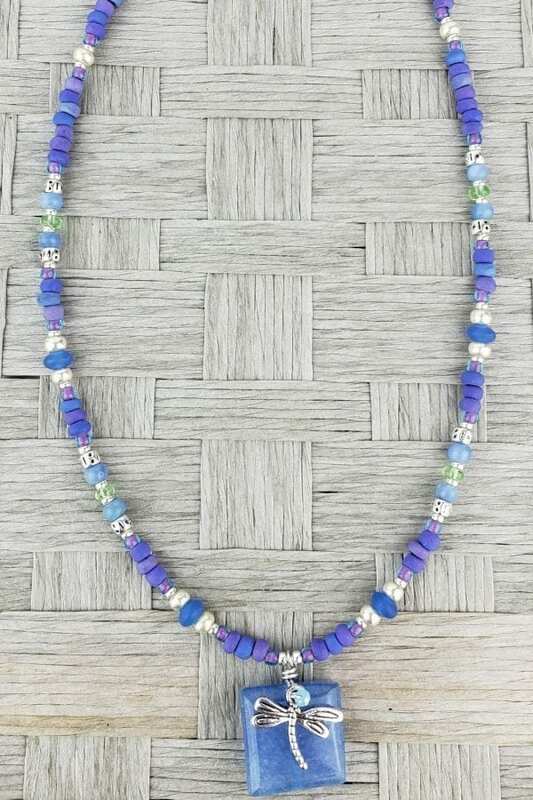 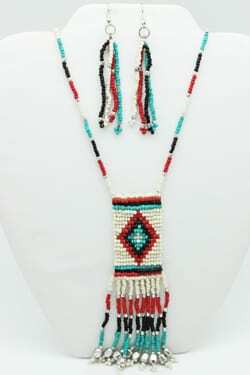 A gorgeous combination of blue/purple beads make up this necklace. 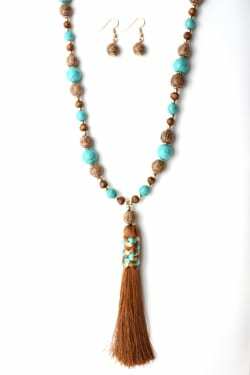 Adorned by a Agate blue stone and dragonfly charm.